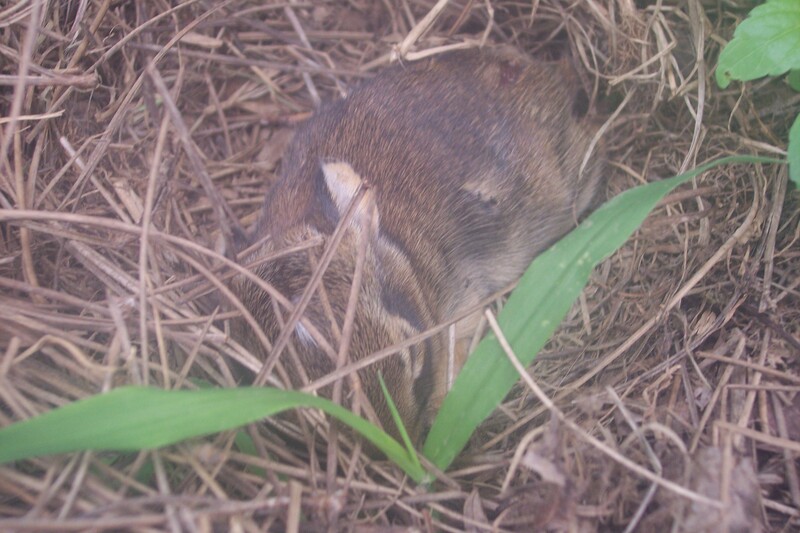 In case you can’t tell, this is a photo of a baby rabbit. Our neighborhood is filled with rabbits. I see probably 10-12 every morning on my way out. This little guy (or girl) is in a nest beside our neighbor’s house. The girls showed it to me today, and I thought it would make a good entry for my Photo-a-Day project.